The Ultegra 14000 XS-D will immediatly catch the eye of the avid surf angler because of the major improvement in cosmetics. 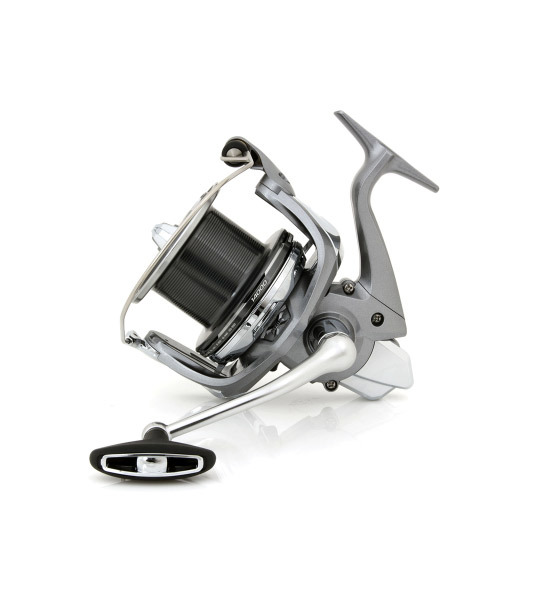 In addition to the new Ultegra reel itself the package is equipped with 1 extra spool and 4 line reducers (2x10.000/2x3.500). The extra spool in combination with the 4 line reducers gives the surf cast angler the opportunity to fish with different types of lines and respective line capacities according to the actual circumstances. The multi-disc Instant Drag facility enables a freespool to power setting in just half a turn of the front lever. Packed with unique features like X-Ship, Super Slow Oscillation 50, Aero Wrap II, and Instant Drag the angler can be confident to challenge the biggest saltwater fish out there.